Items 183- out of displayed. In video below you can watch our recorded webinar from Wednesday, Apr 22nd 2015. 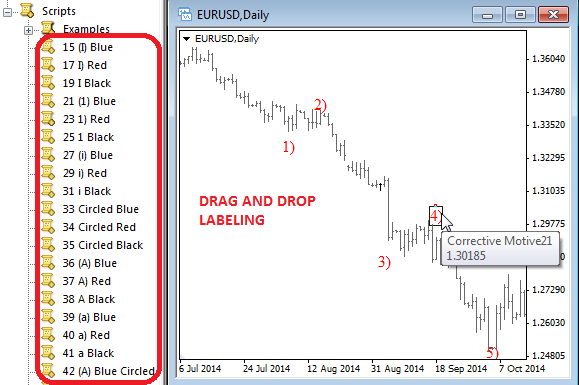 In that webinar we were looking at some long-term charts and talked about potential significant turning point that can be coming on EURUSD in coming years. At the same time we looked at some correlated markets. Do you like technical analysis? 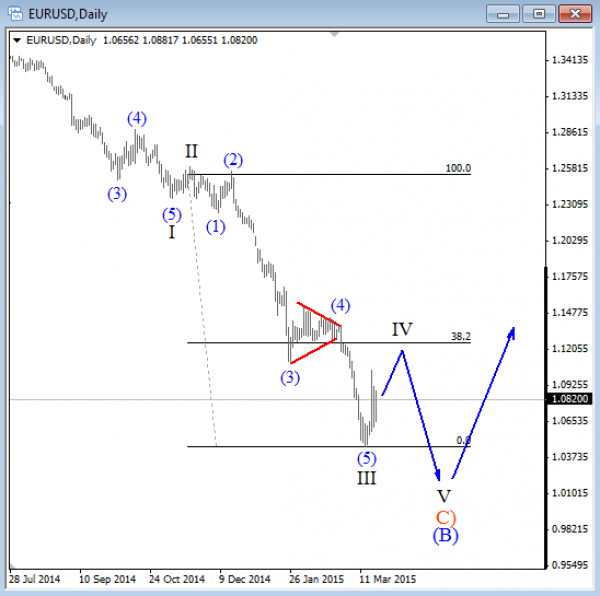 Are you fan of Elliott Wave theory? If you answer is yes, then make sure to join our Free Webinar on Wednesday April 22nd at 12.00GMT. 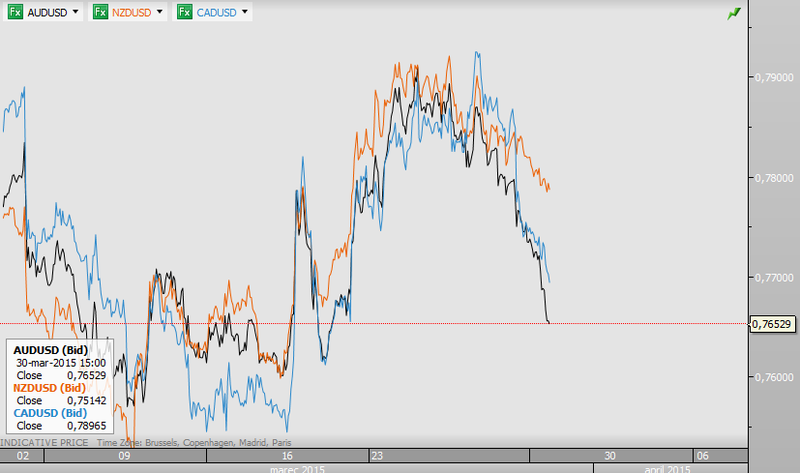 We will be look at major FX pairs, GOLD, OIL, E-mini S&P500, DAX and highlight some interesting tradable patterns. 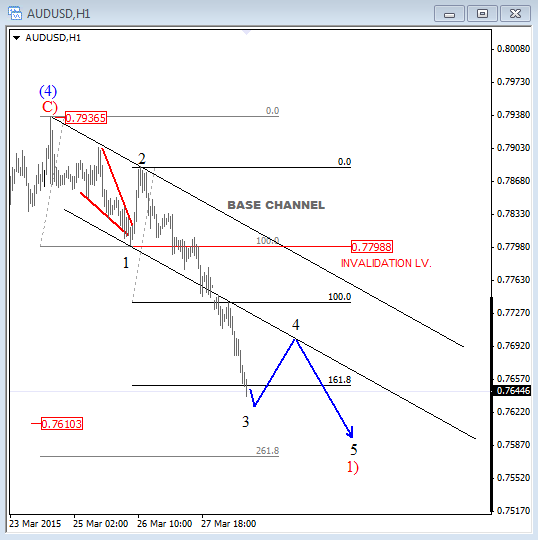 AUDUSD is one of the weakest today, trading at lows as USD moves up across the board. On the intraday chart below we see price now moving into 161.8% and 261.8% Fibonacci extension levels that area very common for third waves so some support could be found soon, but only for a short-term bounce up into wave 4 that can be a new opportunity to get involved within a bearish trend. 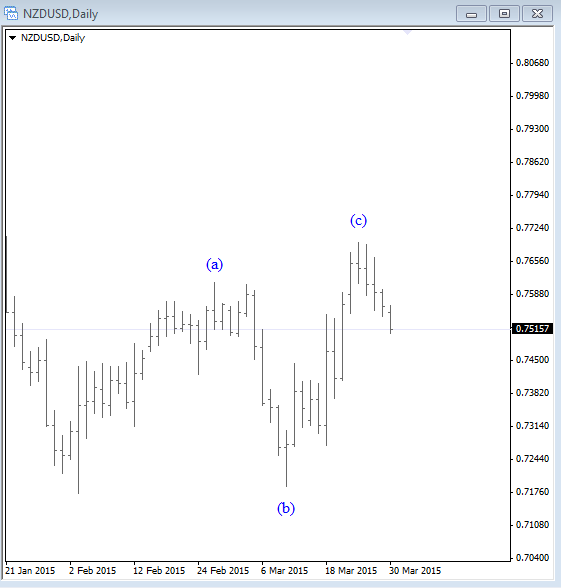 AUDUSD is much weaker than NZDUSD, but even on NZD we see bearish waves ahead, as rally from the low is in three waves, so you can imagine where AUDUSD may fall if we consider that AUD is the weakest. EURUSD bears are approaching our wave C)=A) projection level on a weekly chart at 1.0300 so we need to be aware of a possible bullish turn sometime this year. However, we still need to respect the current direction of a trend which is down despite some bounce last week, back to around 1.1000 level. We see that bounce as just another correction within downtrend. We just think that it's more "safe" to label the wave count in the direction of a trend and always be ready for "more" bears in a falling market and bulls in an uptrend. From an Elliott Wave perspective we see wave IV now unfolding that can retrace back to 1.1200-1.1500 area of a former wave four from where new leg down may occur. 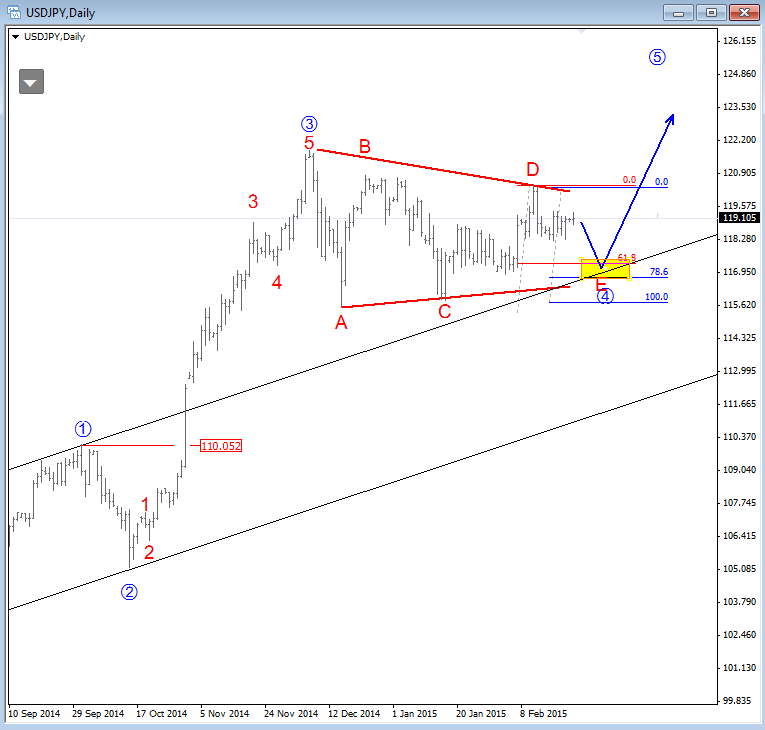 USDJPY is trading sideways for the last two months, but based on a contracting triangle we believe that pair will break to a new high in weeks ahead. We see pair in fourth wave so wave five is expected to complete red wave III of a higher degree sometime this year. Now the question is when break to the upside, out of the range will occur? Well, our primary count shows wave E now in progress, so we may see a little bit more weakness in the next few days, down to around 116-117 support area where we would look for evidence of a completed fourth wave. GOLD is trading nicely higher for the last two weeks with price finally moving above 1238 December high. Notice that on a daily chart there is a possibility of a completed Inverse H&S pattern. A daily close above 1238/1240 would confirm breakout and bullish prices ahead, while 1.167 swing low holds. A Special New Year Offer on Yearly Membership with 31% OFF!! We have Limited Time on this offer so if you are interested make sure to take advantage of discount. Offer expires on Jan 15 2015. 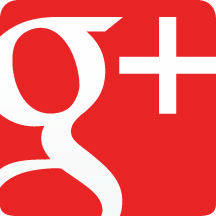 Our Special Offer on Yearly membership will expire soon. So if you are interested then now last chance to take advantage of lower price. At the same time we will give you a GIFT (Elliott Wave Scripts For MT4).